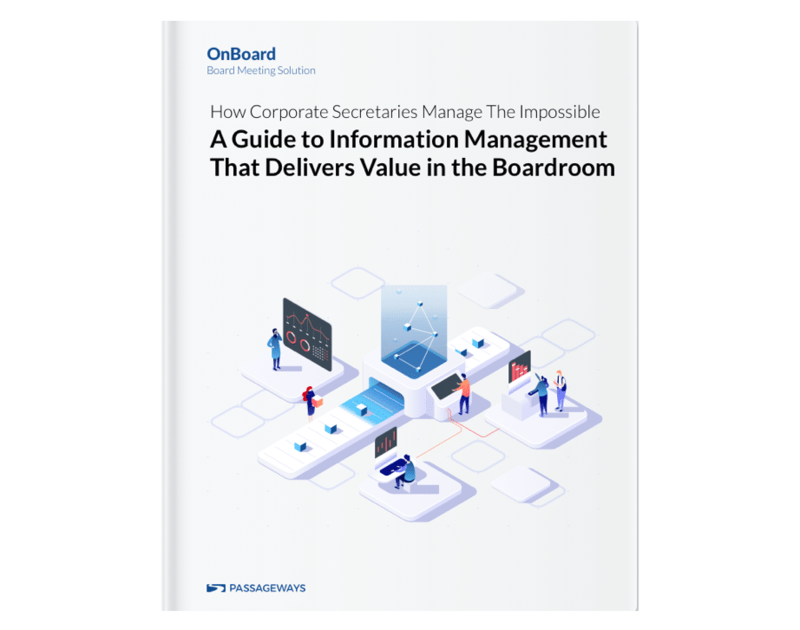 In this White Paper, authored by Bonnie Oakes Charron of Board Concierge, she examines professional information management techniques to help you deliver a first-rate service experience between your board and your organization. Bonnie’s 20 years of experiences in governances shines through as she provides real-world best practices for how professional information managers stay ahead by diligently organizing their governance world. She explores the BASIC framework and how to apply it to the everyday task of organizing board information: Corporate, Administration, and Operations. She then look at how professional information manager handle the full life cycle of their information assets, how they review and identify vital records within their information assets, and manage it all to add value and reduce risk. Sound impossible? Corporate Secretaries do the impossible every day.